There were a fair number of surprises amongst the fifty riders announced last week for the 2019 FIM Supersport 300 World Championship, but perhaps none caught the eye quite as much as the very first name sitting atop the entry list. Inaugural WorldSSP300 Champion Marc Garcia will make a stunning return to the series this year alongside last year’s champions DS Junior Team, paving the way for a face-off with the woman who has taken his place at the top of the series. Last year, Ana Carrasco (Kawasaki Provec WorldSSP300) became one of motorcycling’s brightest stars thanks to her prodigious title win at Magny-Cours. That 12-position climb in the final race of the year allowed her to scrape home the title by a single point over Mika Pérez and caught headlines all around the world. With plenty of options available for 2019, the champion opted to remain in WorldSSP300 and defend her title, this time with the support of none other than Provec Racing – the same structure that has led Jonathan Rea to four world titles. Carrasco’s move left a champion-sized gap in their 2019 rider line-up, yet DS Junior Team could have hardly found a better fit than Garcia. After a spell in the Moto3 Junior World Championship, the 19-year-old will be more motivated and focused than ever as he goes up against one of several familiar foes. Both riders already met on the 2017 grid, yet a more challenging season for Carrasco meant that they only really faced off on track on a couple of occasions. One of these was the day that Provec Racing’s newest recruit achieved her first world championship race win – drifting past Garcia in the final metres of the Portimao main straight before meeting the checkered flag. Their title wins also share several similarities: single-point victories, achieved by the skin of the teeth and not set in stone until the final lap, after managing two race wins throughout the year. 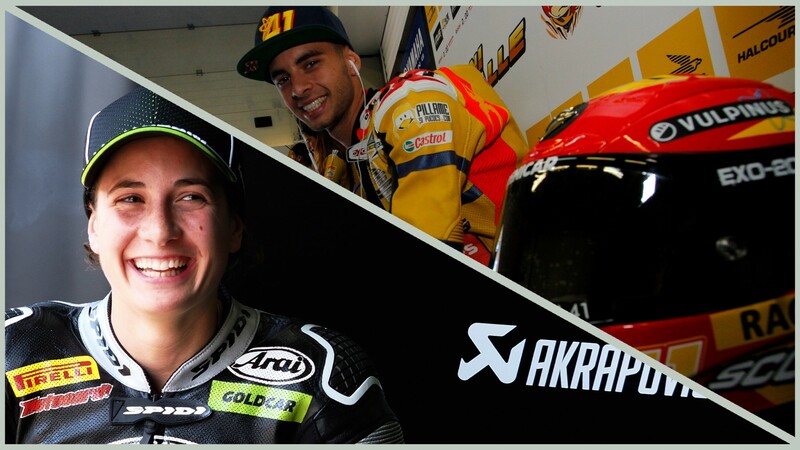 Although on paper Carrasco and Garcia will be the strongest contenders of 2019, both riders should be wary of underestimating the array of other challengers on the grid, including Scott Deroue (Motoport Kawasaki), Mika Pérez (Scuderia Maranga Racing), Galang Hendra Pratama (Semakin Di Depan Biblion Motoxracing) or Koen Meuffels (Freudenberg KTM WorldSSP Team). A grid totalling 14 race wins and 37 podiums over the past two seasons: the strongest line-up yet for the biggest and most ambitious season of the series. Relive García and Carrasco’s title winning seasons and follow all the action from 2019 thanks to WorldSBK VideoPass.